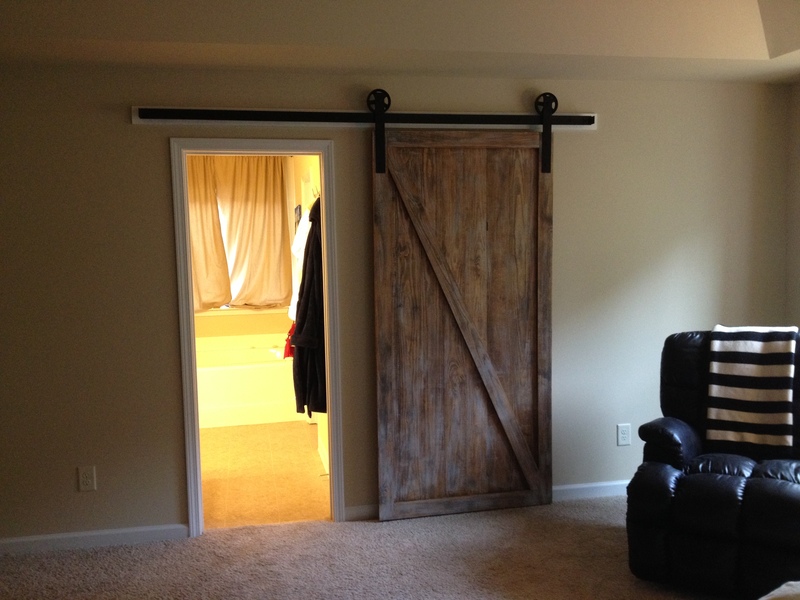 Ever since we moved into the Fox Den, Mandy has been wanting to install a barn door somewhere. It didn’t take long to realize that the door to our master bathroom would be the perfect candidate – take a look at the picture below and you will see why. Big, open wall? Check. 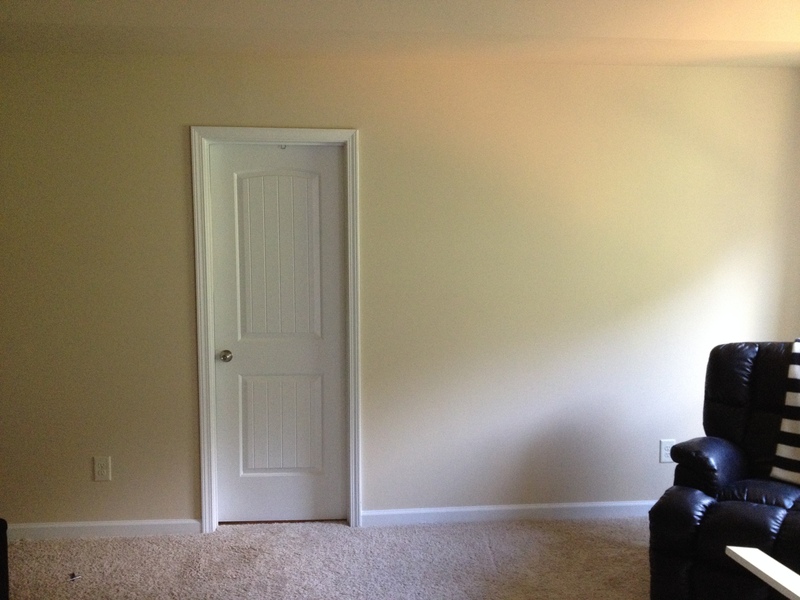 No space to decorate? Check. 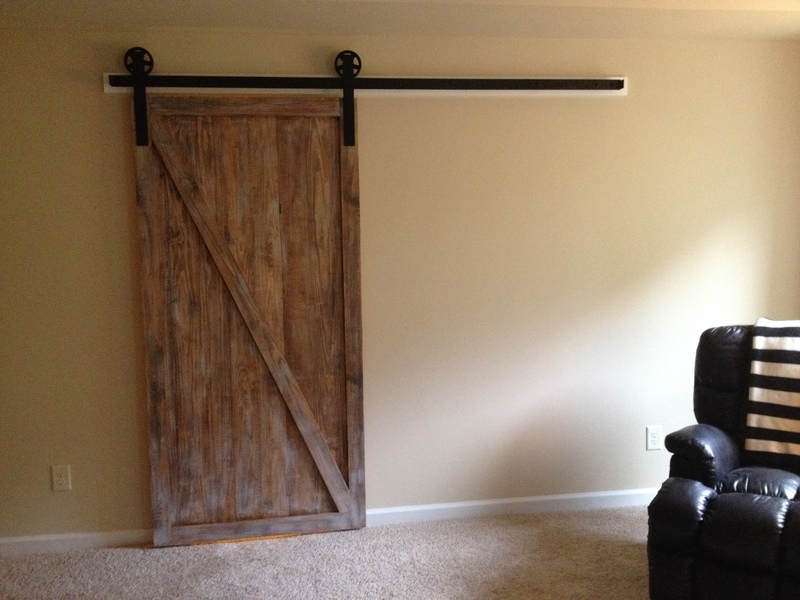 Wife who wants a rustic barn door? Check. This was our spot. 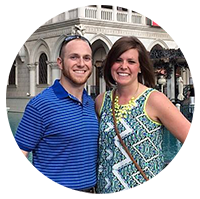 We started by doing a lot of research on Pinterest where there was no shortage of inspiration. We decided a while ago that we wanted our bedroom/bathroom to have a nautical/beachy feeling so we decided to build the door and finish it to look nicely weathered. After I had my plan, I was ready to go. We bought all of the hardware from Amazon and I got to take another trip to my new favorite place in the world – Randall Brothers Trim and Lumberyard right near Georgia Tech. Step one was to build the assembly that would hold the track. 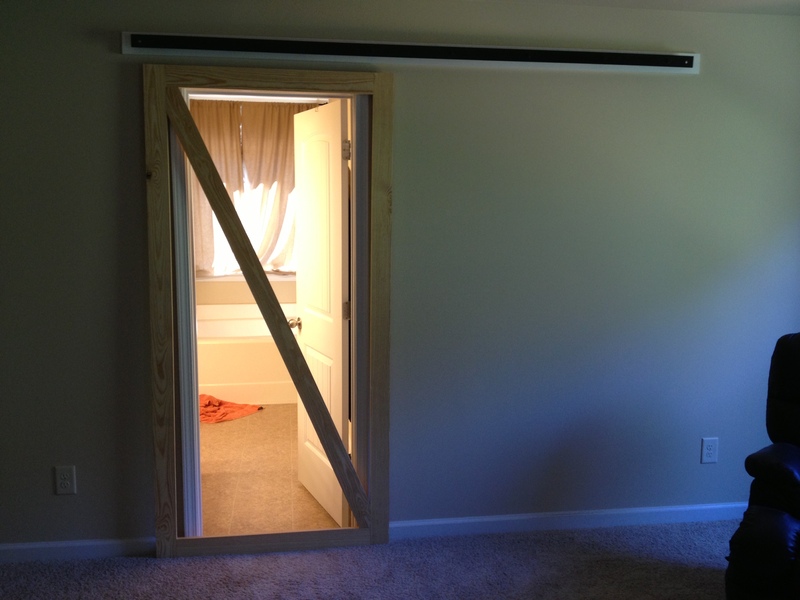 Because we planned to leave the trim around the door in place, I needed to mount the track on a trim board in order to give the door enough clearance to slide. 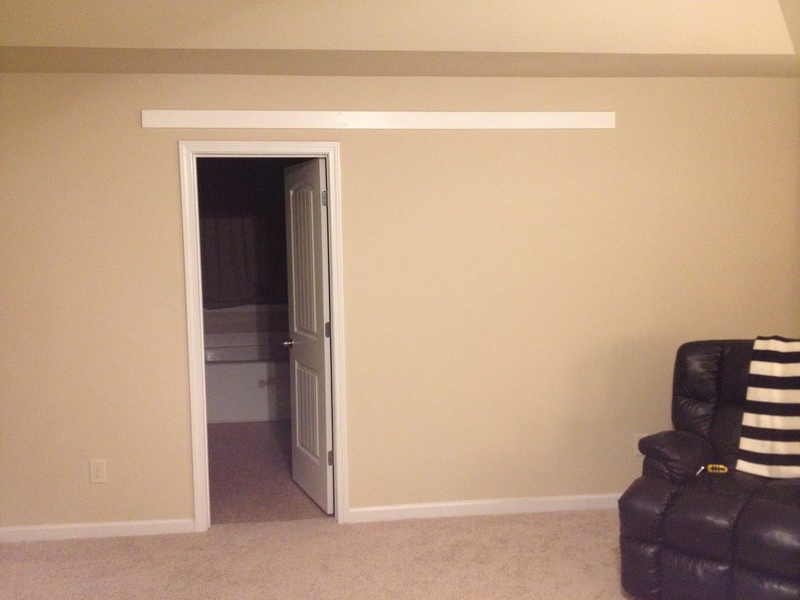 I prepainted and hung a 1×4 slightly longer than the track to use as a mounting board. Next I had to figure out exactly where to drill the mounting holes in the track. Our track came delivered as a 1/8″ thick strip of steel and I was responsible for drilling all the holes – yay. Because the stud layout in our room was not even due to the doorway, the places where the bolts had to go were not quite spaced evenly. I sat for a long while and drew more than a few scale drawings in order to be sure exactly where I wanted the lag bolts to go. I only had one shot and I needed to be sure they ended up looking somewhat evenly spaced even though they weren’t. Finally the track was hung after what seemed like days spent drilling ten holes for the mounting bolts and the stops at each end. 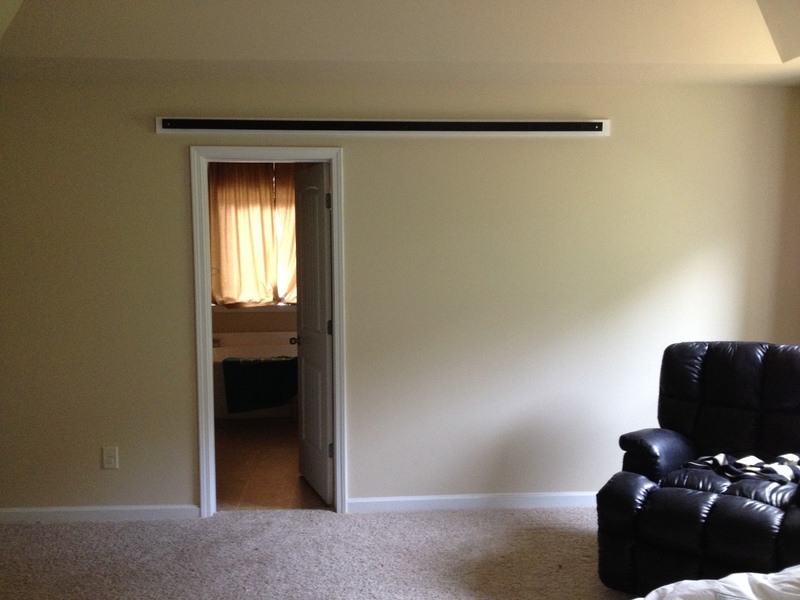 The hardware came with 1/2″ spacers so I was sure that the track was equidistant from the wall the entire length. Big time-saver! 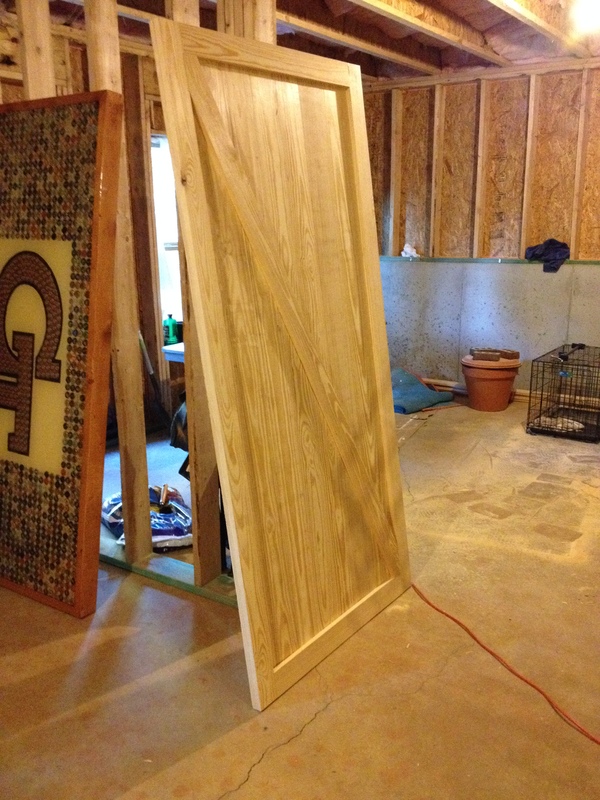 With the track completed and hung, I could finally get down to my workshop and begin woodworking! I started by creating a 1×4 frame using pocket holes that would be covered up later. 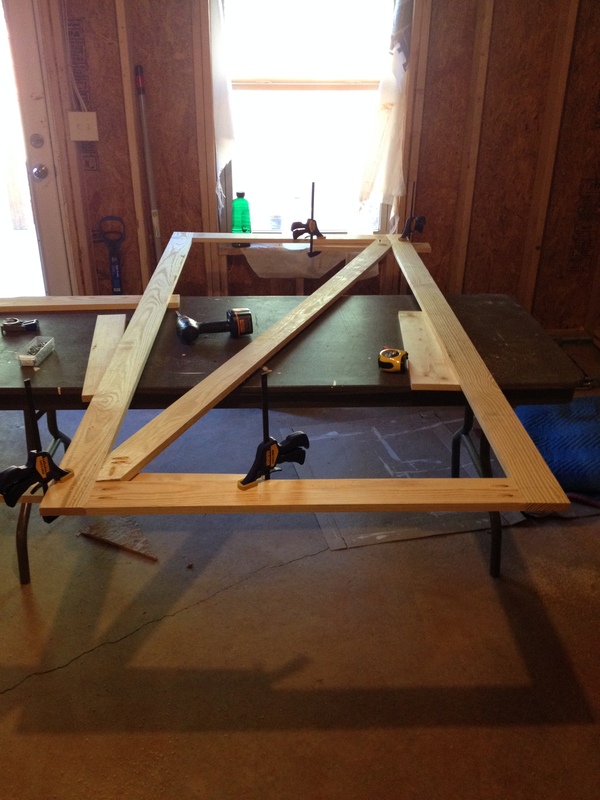 We picked a simple frame with a cross-member and it went together in about an hour. I was so excited that I had to bring it upstairs for a test fit. 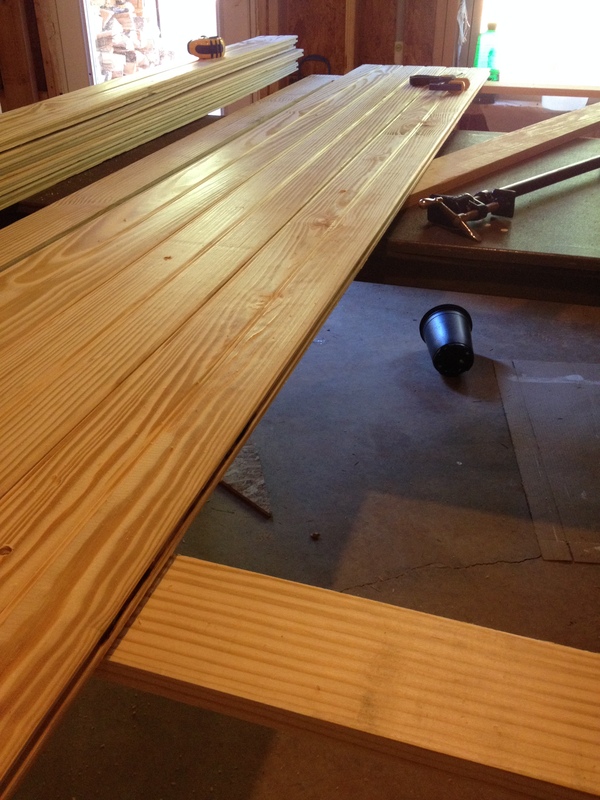 I got some really nice beadboard tongue-and-groove 1x6s to use as the back of the barn door. 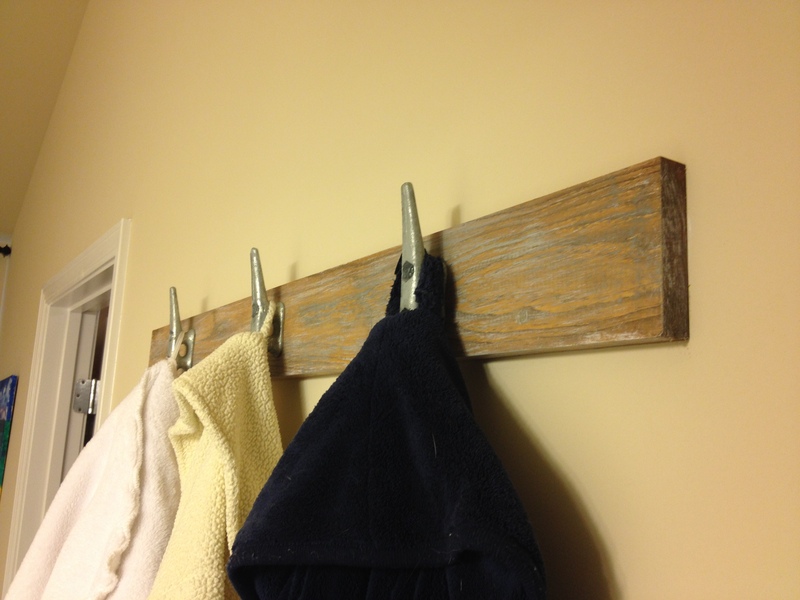 They created a simple panel look on the front and had a nice detail on the back so it wasn’t just a big, plain plank. I used a series of clamps to pull them nice and snug together and screwed them in. My screw holes were countersunk so that i could cover them later. I hate seeing screw holes on my finished pieces, but in this case I decided that a few small holes would be worth it to not have to add more lumber (and therefore weight) on the backside. I left all of the beadboard pieces long and then cut off all the excess at one with a circular saw so that the top and bottom of the door were all perfectly flush. 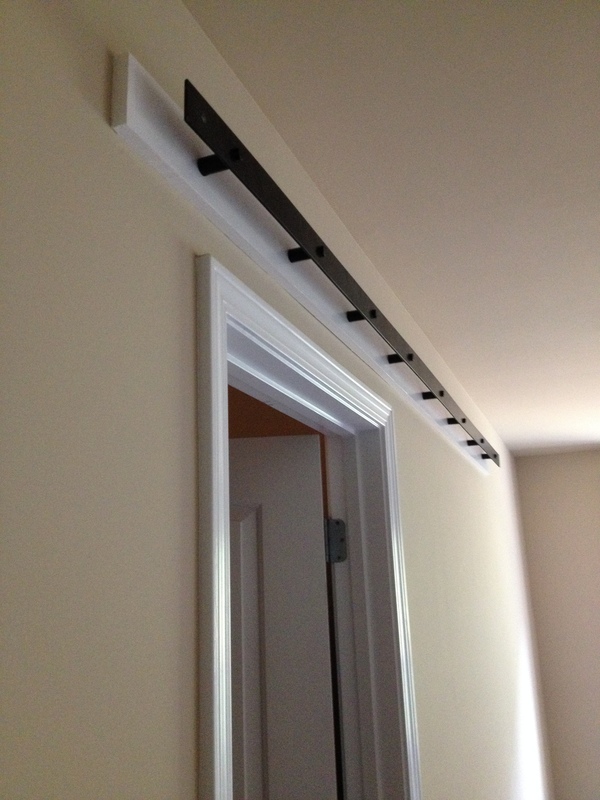 After I attached the door hanger straps with the provided bolts I just couldn’t resist seeing how it would look in the sunlight. 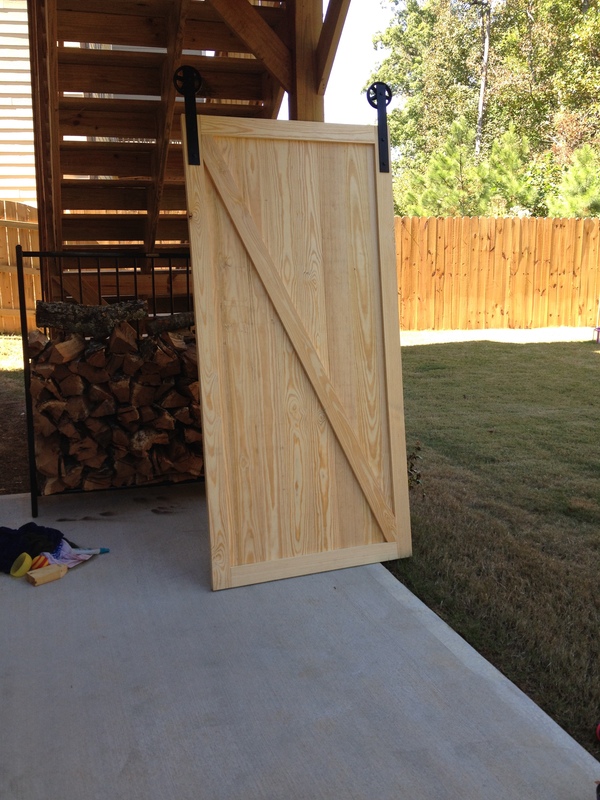 I lugged it outside to do my clean-up and prepare for staining. We found a method for doing faux weathering on the internet and I was excited and nervous to see if we could pull it off. 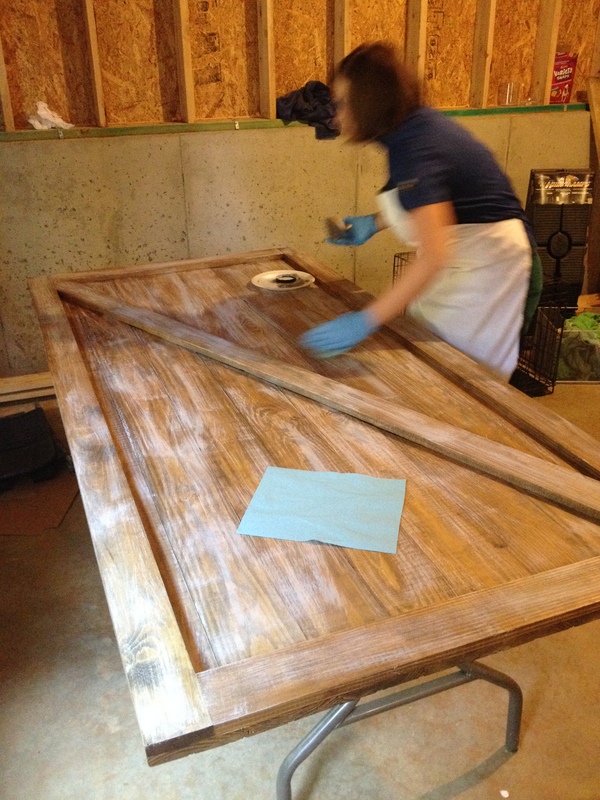 I started by staining the whole door with a dark walnut wipe on stain. Then we layered on different colors of paint in really light strokes to give the weathered effect. First was a plain white latex paint, followed by a light grey, and finished with a dark grey/almost navy color. We dipped just the tips of the paintbrush in paint, dabbed it off on a paper towel, and then lightly brushed it on the door in really long strokes to eliminate start and stop marks. Each color was painted on in rapid succession without waiting for the previous layer to dry. We then wiped the whole thing down with a paper towel to smooth out any obvious brush strokes. Finally, I sanded the whole thing with a super fine sandpaper to take out any rough patches and to even out the finish. Mandy rocked at this part! Finally I put the hardware back on the door, carried it upstairs, and hung it up! I’m really pleased with the way it turned out. I also surprised Mandy with some hooks for our robes. 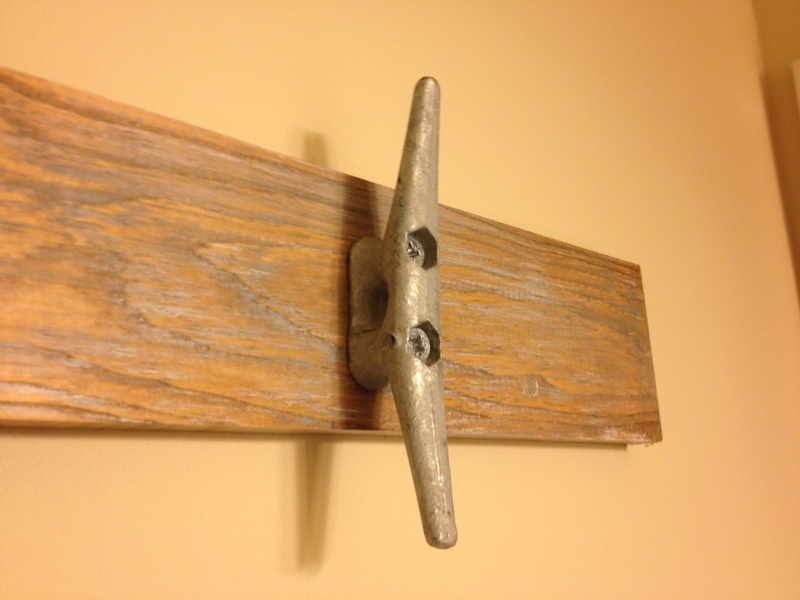 They used to hang on the back of the door to the bathroom so I made an additional 1×4 piece that matched the door and used dock cleats for the hooks. Here is the finished product…except for the handle that will get put on as soon as it arrives. I’ll be sure to post pictures once it gets 100% finished! 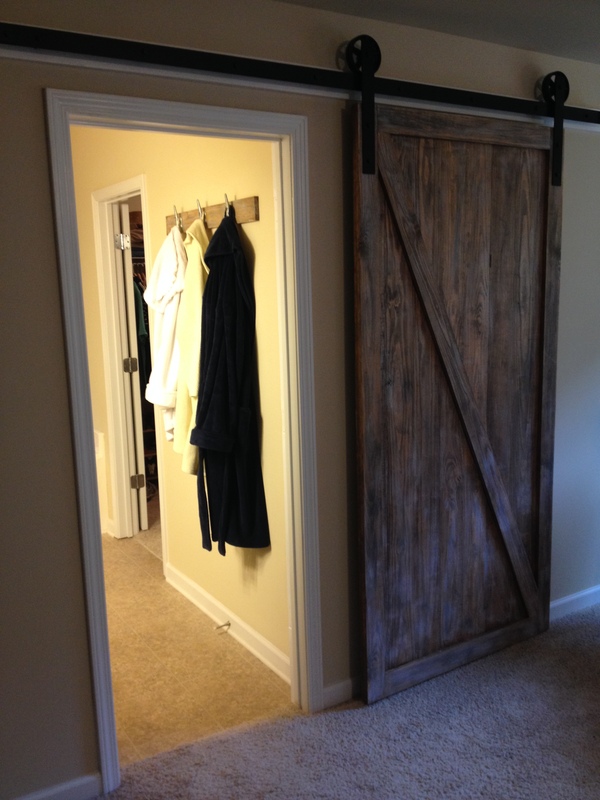 This entry was posted in DIY Projects, Home Tour and tagged barn door, diy, home projects, weathered, woodworking. Bookmark the permalink.